"I'll take that as a NO then"
Liam Gallagher took to Twitter yesterday (July 19) to extend an olive branch to his brother and former Oasis bandmate Noel, but it seems the peace offering has expired after going unanswered. Apparently, Noel failed to respond, even after a prompt of "Cmon," and as such, younger bruv Liam has interpreted the silence as a "no" to the possibility of an upcoming reunion. Earlier this morning, Liam simply tweeted: "I'll take that as a NO then." Liam even responded to a bit more fan criticism. When Twitter user @johnnym99996 suggested that Noel wasn't as desperate for a big pay day, the younger brother retorted that he'd do a reunion for free because "it's not all about the money honey." Liam then took a personal jab at Johnny, taking note of his Twitter bio, which reads: "Love all music u2 my fav and sport darts my fav." Of course, Liam very publicly criticized his older brother when he went of tour with the Bono-fronted band earlier this year. 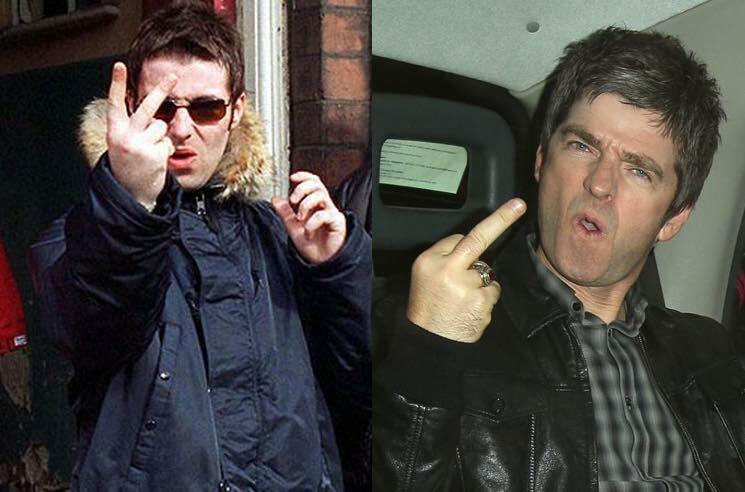 As for fans who were genuinely expecting a reunion to happen between the Gallaghers — really? They just played that game last year, then promptly returned to slagging each other off in the media.